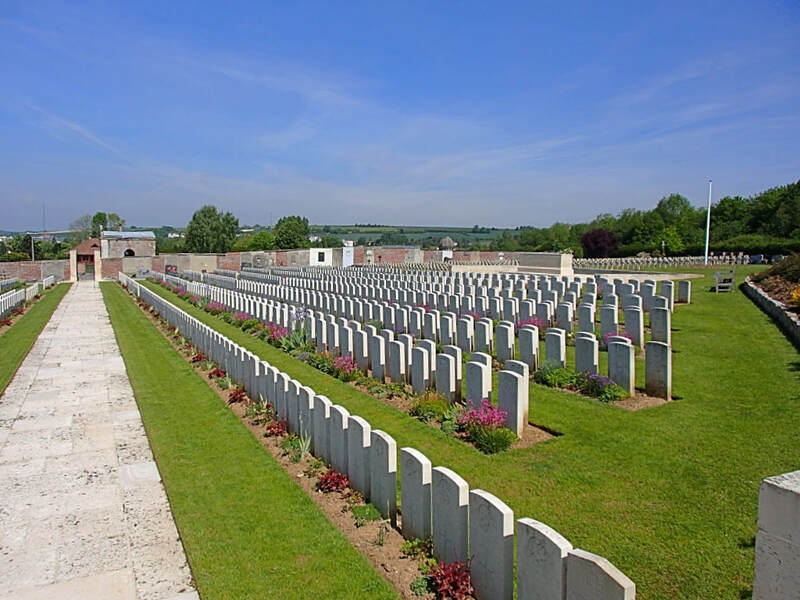 Doullens is a town in the Department of the Somme, approximately 30 kilometres north of Amiens on the N25 road to Arras. 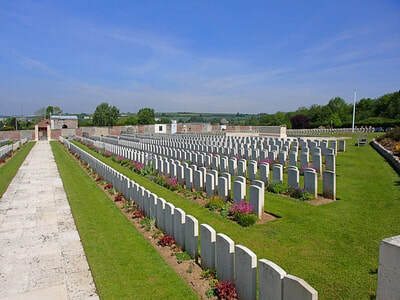 The Communal Cemetery and Extensions lie on the eastern side of the town, about 270 metres south-east of the road to Arras. Wheelchair access to site possible, but may be by alternative entrance. 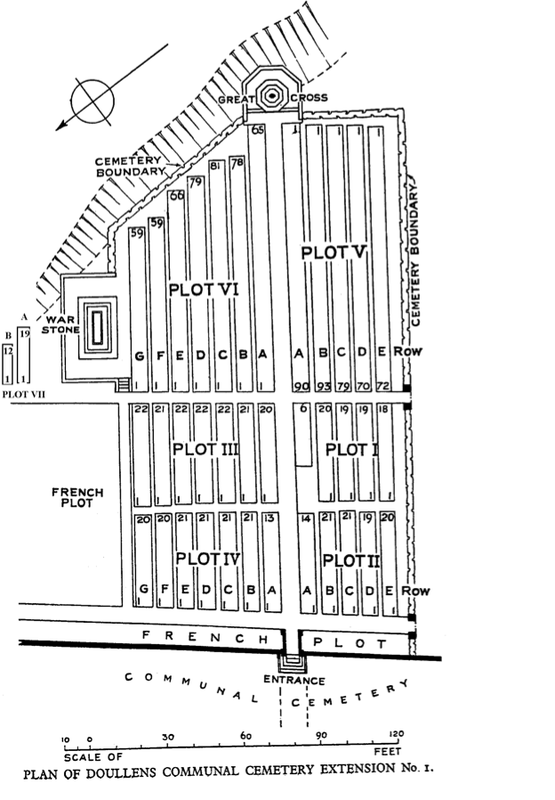 Doullens was Marshal Foch's headquarters early in the First World War and the scene of the conference in March 1918, after which he assumed command of the Allied armies on the Western Front. 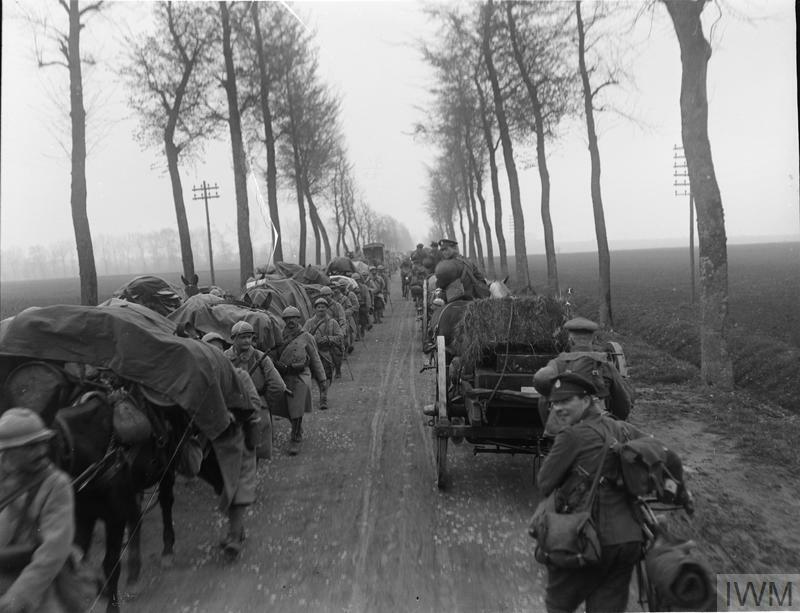 From the summer of 1915 to March 1916, Doullens was a junction between the French Tenth Army on the Arras front and the Commonwealth Third Army on the Somme. The citadelle, overlooking the town from the south, was a French military hospital, and the railhead was used by both armies. In March 1916, Commonwealth forces succeeded the French on the Arras front and the 19th Casualty Clearing Station came to Doullens, followed by the 41st, the 35th and the 11th. 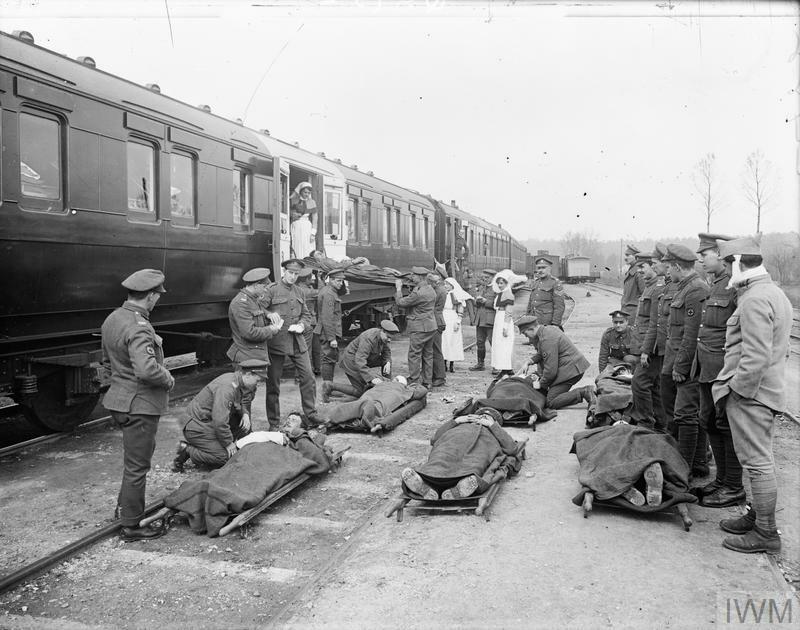 By the end of 1916, these had given way to the 3rd Canadian Stationary Hospital (which stayed until June 1918) and the 2/1st Northumbrian Casualty Clearing Station. 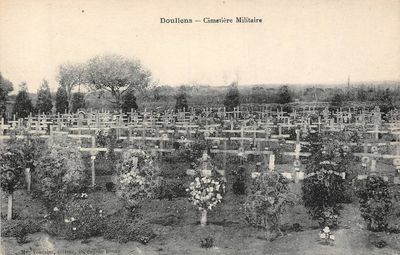 From February 1916 to April 1918, these medical units continued to bury in the French extension (No 1) of the communal cemetery. In March and April 1918 the German advance and the desperate fighting on this front threw a severe strain on the Canadian Stationary Hospital. 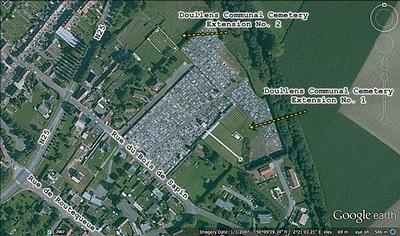 The extension was filled, and a second extension begun on the opposite side of the communal cemetery. 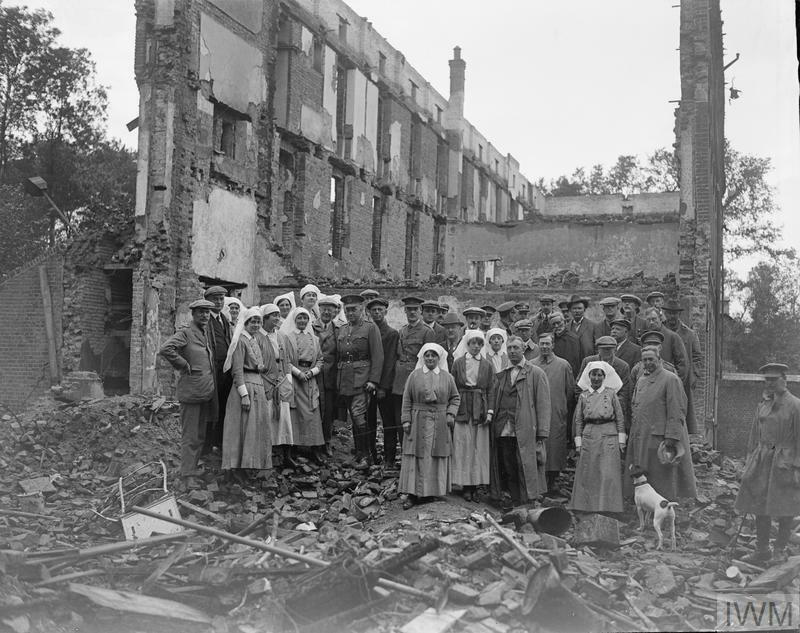 In May 1940, Doullens was bombed with Arras and Abbeville before being occupied by the Germans. 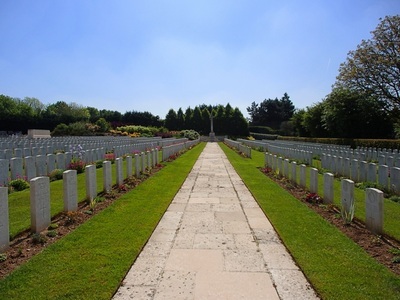 The COMMUNAL CEMETERY EXTENSION No 1 contains 1,335 Commonwealth burials of the First World War. 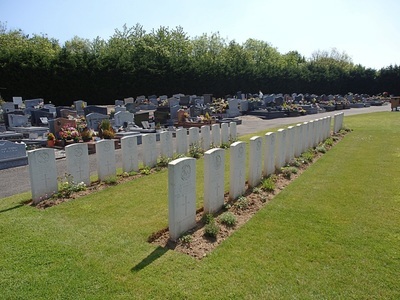 There are also seven French and 13 German war graves from this period. Second World War burials number 35, more than half of them men of the Queen's Royal West Kents who died 20/21 May 1940. 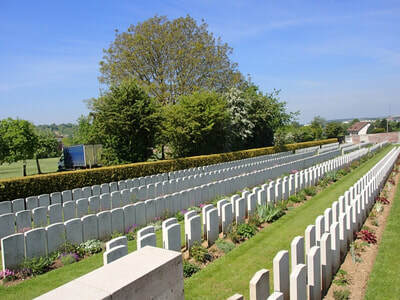 The COMMUNAL CEMETERY EXTENSION no 2 contains 374 Commonwealth burials of the First World War, and 87 German war graves. The COMMUNAL CEMETERY itself contains ten Commonwealth burials of the Second World War. 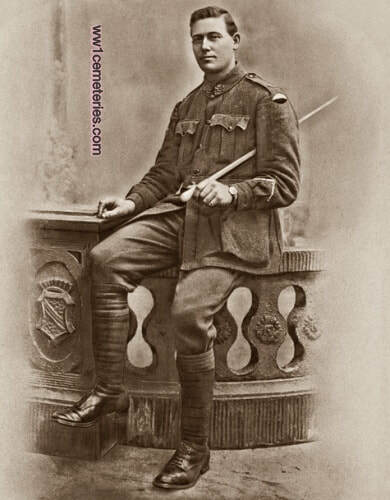 52355 Private John Castle Morton, Auckland Regiment, N. Z. E. F., 19th April 1918, aged 33. Son of Clara and the late W.H. Morton Savage Rd , Waihi, Auckland. NZ. 30th June 1916, aged 21. Son of Eliza and the late Abel Archbutt, of Cottingham. Born at Cottingham, East Yorks. 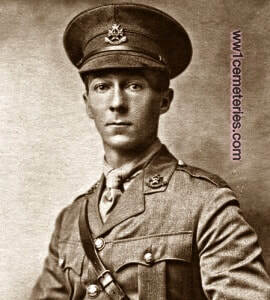 He died the day before the Battle of the Somme started after taking part in a scouting mission as a sniper. Picture courtesy of great niece, Christine Rooks. 27th April 1918, aged 27. 30th March 1918, aged 28. Son of August and Luckenia Jane Bender, of Chapel St., Glenorchy, Tasmania. A farm labourer prior to enlistment, he embarked for service overseas with A Company from Hobart aboard HMAT Berrima on 1 July 1916. 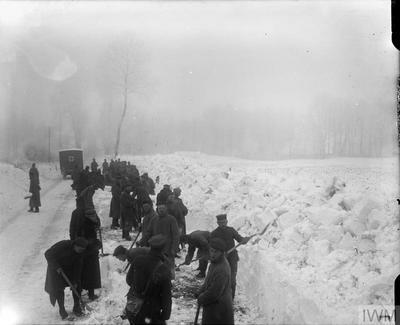 By December his battalion was serving in the trenches in France. Promoted to the rank of Corporal (Cpl) in April 1917, he was transferred to England to undertake further training with the 10th Training Battalion, Durrington, and later qualified as an assistant instructor at the Bombing School, Lyndhurst. Rejoining his unit in France in January 1918, he was promoted to the rank of Sergeant (Sgt) on 9 March. 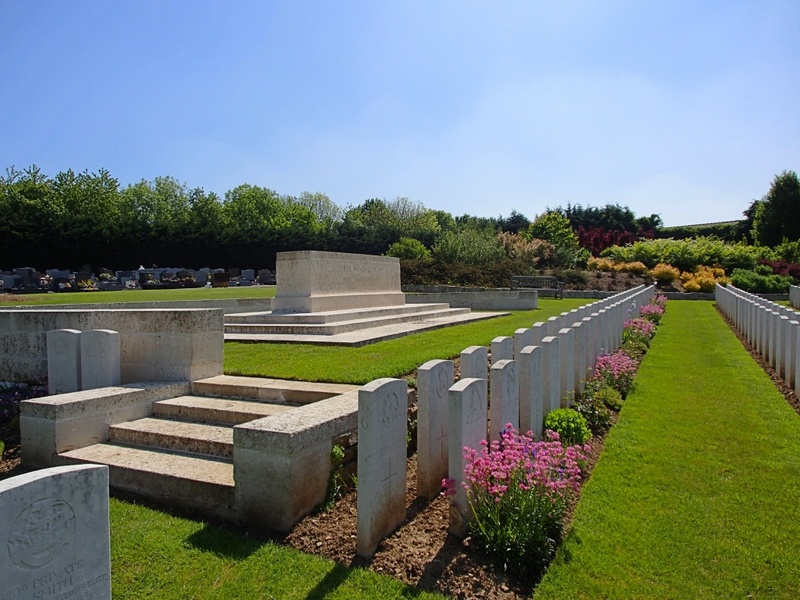 During the German Spring Offensive at Morlancourt, Sgt Bender was wounded in action on 28 March 1918. 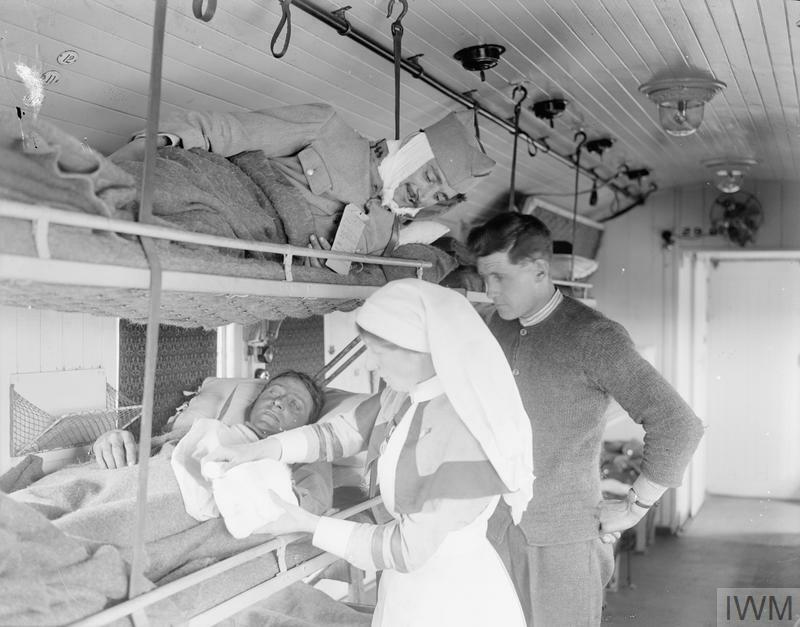 He was admitted to the 3rd Canadian Stationary Hospital with gunshot wounds to the left side of his chest. 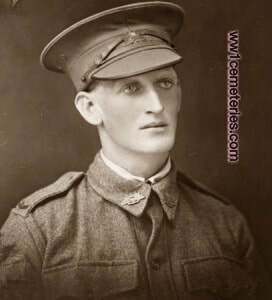 Sgt Bender died of wounds on 30 March 1918, aged 28. Son of Norman and Emma Coghill, of Almington Hall, Market Drayton, Salop. 6th April 1918, aged 29. Husband of Mona Earley, of 78, Ruskin St., Walton, Liverpool. This is James Lawrence Earley and his wife, my Grandmother Mona (second picture). James was born in Rainhill, near Liverpool and my grandmother was born in Liverpool. They married in 1916. 3rd April 1916, aged 19. Son of the Right Honble. Sir Edwin Egerton, G.C.M.G., K.C.B., &c., and Olga Egerton Princess Olga Lobanow de Rostoff. 27th March 1918, aged 33. Resident of Greens Norton, Northamptonshire, Enlisted at Bletchley, Buckinghamshire. 23/1 Harry Townsend Fulton, C. M. G., D. S. O. 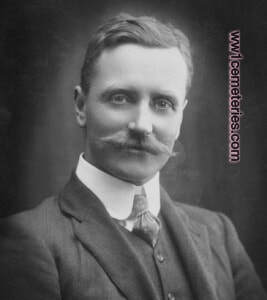 29th March 1918, aged 49. Croix de Guerre (France). Son of Lt. Gen. John Fulton, R.A., and Ellen Fulton, of India. Served on Indian Frontier, 1897; in South Africa, 1900; Samoa, 1914, and Egypt, 1915. 7th July 1916, aged 20. Son of Harry and Rosina Heath, of 1/108, Berners St., Lozells, Birmingham. 11th April 1918, aged 27. Son of Sir Joseph Paton Maclay, Bart., and Lady Maclay, of Kilmacolm, Renfrewshire. B.A. of Cambridge. Native of Glasgow. His brother William Strang Maclay also fell and is commemorated on the Helles Memorial in Turkey. 5th April 1918, aged 20. Son of Mary Reiddie Peterson, of Minlaton, South Australia, and the late William Peterson. A 21 year old shop assistant prior to enlisting on 2 January 1917, he embarked for overseas with the 9th Reinforcements of the 50th Battalion from Adelaide on 10 February 1917 aboard HMAT Seang Bee. Following further training in England, he arrived in France and joined the 50th Battalion on 25 August 1917. 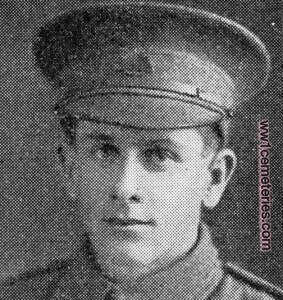 Pte Peterson was wounded in action at Dernancourt, France on 5 April 1918 and died of his wounds the same day. 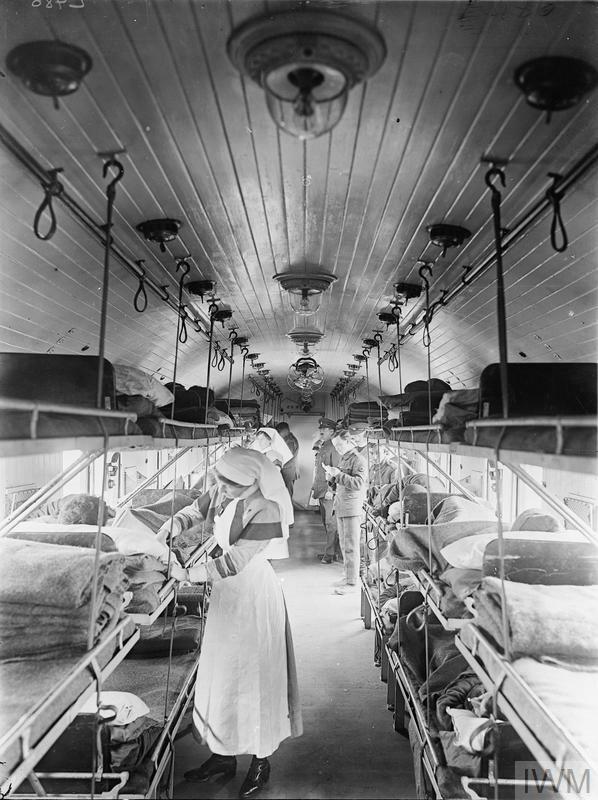 The Officer Commanding No.3 Canadian Stationary Hospital wrote the following response to a query regarding Thomas Peterson's whereabouts: "He was admitted to this hospital on April 5th, with shrapnel wounds in the right leg and left arm. I regret to say that he was already dead when admitted. 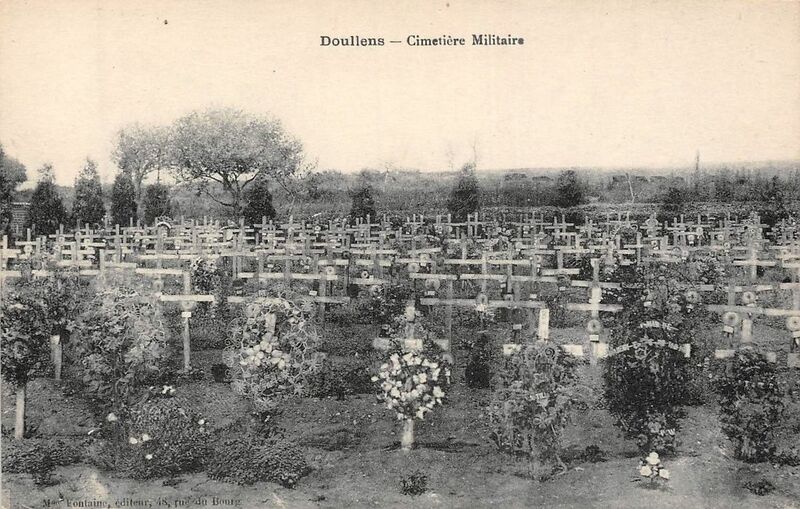 He was buried in the Military Cemetery at Doullens." 27th April 1918, aged 34. Son of Richard and Alice Matilda Sargent, late of Manor Villa, Wootton Bassett, Wilts; now of Seales Farm, Upper Seagry, Chippenham. His parents added the following inscription to his headstone; "He gave all he had, his life and is gone to his reward." Between 23rd March 1918 and 26th March 1918, aged 29. Before the war Joseph had worked as an insurance agent, He was killed in action on March 26th 1918 aged 29 in the fighting around Hebuterne trying to stem the German spring offensive. His brother Samuel who was serving with the RAMC had been killed on 24th July 1916 during the battle of the Somme whilst attending to a wounded soldier. Son of Benjamin & Sarah Small of 8 Crown Street, Dawley, Shropshire. 46th Bn. Australian Infantry, A. I. F.
2nd April 1918, aged 41. Son of John Henry and Elizabeth Harriet Stubbs, of Southern Goss, Western Australia. Native of Gisborne, New Zealand. An assayer and metallurgist prior to enlistment Pte Stubbs embarked on 29 December 1916 aboard HMAT Persic (A34). He died at Doullens, France, on 2 April 1918 of wounds received in action during the German offensive around Dernancourt. ​The Officer Commanding No.3 Canadian Stationary Hospital wrote that he was admitted to the hospital with a shrapnel wound to the face and died the same day. 27th March 1918, aged 23. Son of Alfred and Clara Thorn, of Terminus St., Liverpool, New South Wales. A carter prior to enlisting, he embarked from Sydney aboard HMAT Marathon (A74) on 10 May 1917. Pte Thorn, was wounded in action near Morlancourt, France on 27 March 1918 and died, later that day, of his wounds, aged 23.